The Dwyer Portable Windmeter is ideal for quick and easy measurement of wind speed in any outdoor situation. 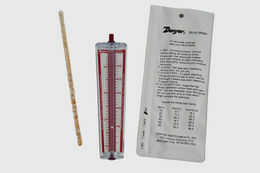 With direct reading and no calculations to make the Dwyer Portable Windmeter is quick and easy to use. Simply hold the meter at eye level with the back of the unit to the wind. The white ball in the tube then indicates the wind speed. 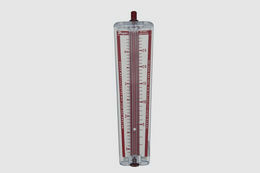 The Dwyer Portable Windmeter has two scales for maximum accuracy and easy reading – low, 2-10 and high, 4-66 m.p.h. range. For the high range cover the hole in the top of the unit with a finger. 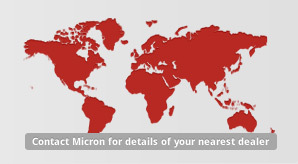 The unit is pocket sized, made in sturdy plastic and comes with a protective case. Dimensions: 5/8” W x 6-3/4” H x 17/32” D.